From 1977: STARLOGGED celebrates the biggest genre event of the year! 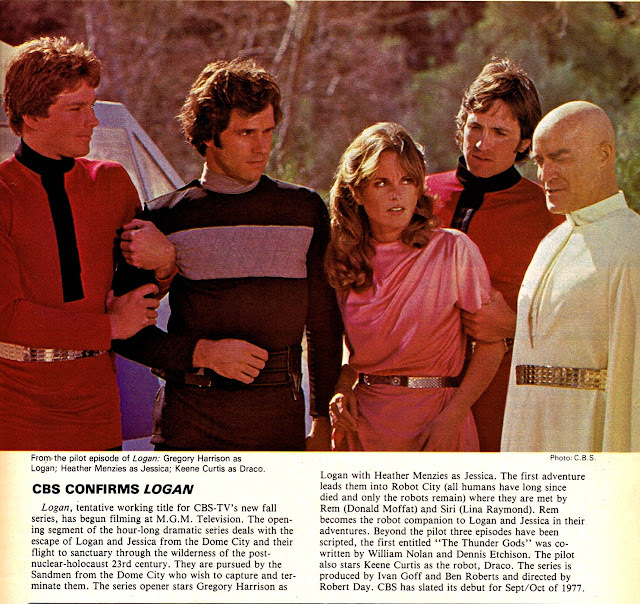 The debut of LOGAN'S RUN (aka LOGAN... although you have to wonder why)... the TV series. Yup. The one with the Spock-alike android and - even better - those high-tech cars zipping around some familiar looking (if you'd been watching PLANET OF THE APES a few seasons earlier) California countryside. still on a star wars theme : Keene Curtis voiced Tarkin in the star wars radio adaptation.